These are a few phrases on repeat in my house all. day. long. Our 5 year old son is passionate about life, and shares his zest for dirt and “work guys” with anyone within ear shot. However, what he loves most is the full, undivided attention of an adult willing to watch his every move. Honestly, I’m not always able to drop everything and rush to see him play with the same toys he showed me five minutes earlier. Truthfully, his constant need to be the center of attention sometimes grates on my already worn-thin mom nerves. Doesn’t he know that dinner needs to be cooked and laundry needs to be done? But God gently reminded me of the Bible story of Mary and Martha. The two sisters had different priorities in their lives. I was suddenly humbled and convicted that I was putting chores above my son, thus resulting in my own irritation. These moments of him begging for my attention are fleeting, He won’t always want me to share in his playing and to drop everything to be with him. Recognizing that I needed to change my attitude towards his need for attention, I began to intentionally build into his life with more quality time. Giving myself heaps of grace, I began to allow myself to play more instead of being so focused on my to do list. Parents, if we’re not careful, their childhood will pass before our eyes. 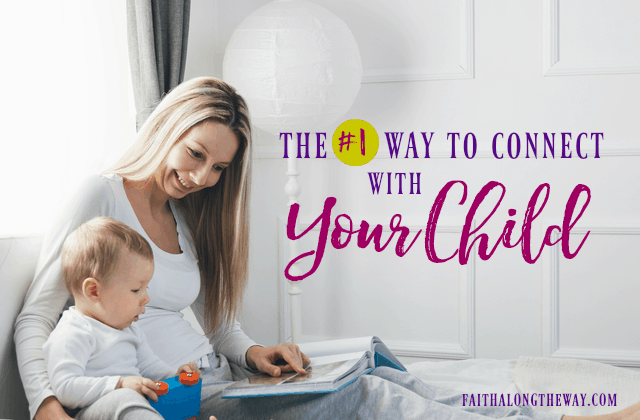 This precious time to talk and teach children about life, faith, and family doesn’t have to be elaborate. Focus solely on your child for small pockets of time each day. Start with 10 minutes at a time and use a timer to set the boundary. Going on parent-child dates is a fabulous way to spend quality time with children and sets a lifelong standard of trust, importance, and openness. 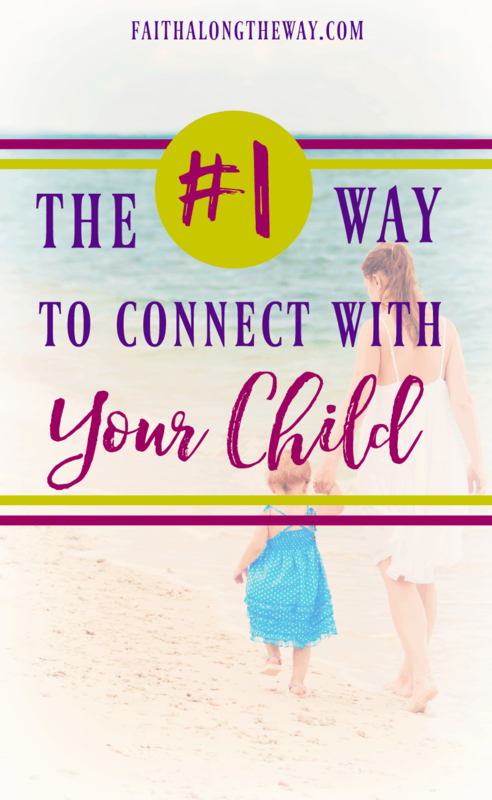 Do you need some ideas on how to connect with your family? Here’s some practical and easy ideas to help you plan for special time with your children. This week’s feature reminds us that summer may be chaotic, but it’s filled with beautiful memories. What are you going to do to build wonderful memories with your kids this summer? So so true. I have a tendency to ignore my kids so I can get things done, forgetting that raising them is the most important thing I do!! Me too, Lindsey! It’s so nice to hear that I’m not alone. Yes, I am guilty of too often saying “just a minute” or even worse…saying “yes, I see” when I’m not even looking, all because I’m busy getting dinner ready. It’s those times when I do stop for a moment and give my kids the attention they deserve that makes me prouder of myself. Thanks for sharing. I am the same way about, “I see you”! It’s easy to brush them off, but being more intentional has reminded me to stop and actually look at him when I can. We are also praying about/working through boundaries with him, reminding him that he can’t always be the center of attention. It’s a slippery slope! Sooo true! It’s the reason why I know about video games, DC Comics, and pokemon. I don’t want to connect with my child only on my terms. So I listen to them and ask them questions. I love your point! Absolutely! I am the same way! I try to let him lead our time together and he gets to pick (within reason) what we do together. Connecting with our children is so important. I have been where you have been. I now make it a point to spend time with my children and be involved in their lives. Which is why I know everything about My Little Pony, Doc McStuffins and Sofia the First. Meeting them on their terms builds a stronger relationship. I love how you applied to the story of Mary and Martha to raising our kids. Insightful! Thank you, Leslie! I am SO thankful for grace and the chance to change my motherhood habits! Thanks for the reminder! I’m such a Martha so many times. I definitely need to do better about setting aside individual tim with my kids. I’m a Martha at heart, too, but I am learning to be more open, like Mary, and to put others first. So convicting, Sarah Ann. Thanks for sharing and for the great reminder. Thank you, Anna! I needed that reminder, too! I have four boys, two with Autism and one with ADHD & Autism. I also homeschool. I also have recently been diagnosed with Multiple Sclerosis. I can relate to the worn thin nerves. I am going to schedule one – on-one time with each of my boys this week, something I’ve been wanting to do for a while, even if it means being in more pain or more exhausted or housework being left for another time. Your article was just the encouragement I so desperately needed. God Bless. God bless you! You sound like an amazing mom and I’ll be praying for your time with them. I have one child with Autism and another severe attention issues. Stay strong, my friend! God will walk beside you every step of your journey! I am a big advocate for having dates one-on-one with your children. Mine are grown and we made it a priority to do it regularly with all three girls. They still remember these times. Now we do it with our grandchildren. Glad to see you know the importance of it early in their years. From Titus 2 linkup. Would love for you to share this on my Tuesday Talk beginning at 8:00 a.m. tomorrow. I just love your series and beautiful ideas! Thanks for sharing this with us at Grace & Truth, friend!! Thank you, sweet friend! I appreciate the encouragement. I have a son just like that! “Play with me, Momma. Play with me, Momma!” All day long. . . We are going through a transitional season, where we are in the midst of moving and our living with my parents until we close on our house. I know he is feeling the changes, and he needs to be reminded that I’m not going anywhere. On Friday, we are taking him to see the Minions movie at the drive-in! He has no idea. It will be such a fun surprise! 🙂 Thank you so much for this reminder and ideas! I understand, Kelsey! It can be so hard to juggle that personality among the other responsibilities we have, yet I am learning to stop what I am doing more to play and see what he is doing. But I’m also working on teaching him boundaries and the proper time to interrupt. It’s a slippery slope. Best wishes to you and your family on your transition time. Me too! I always need to remember to put myself as a priority!